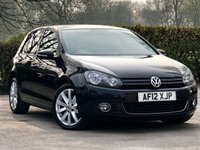 PROBABLY THE MOST SOPHISTICATED & COMPLETE SMALL FAMILY CAR THE VW GOLF SETS THE BENCH MARK FOR ALL OTHERS TO FOLLOW. THE LOOKS ARE SMART & DESIRABLE THANKS TO ITS CRISP LINES & SHARP DETAILS. ON THE INSIDE THE QUALITY OF MATERIALS & BUILD QUALITY ARE A CUT ABOVE THE REST. THE DRIVING POSITION HAS BAGS OF ADJUSTMENT & ALL ROUND VISIBILITY IS CRYSTAL CLEAR. 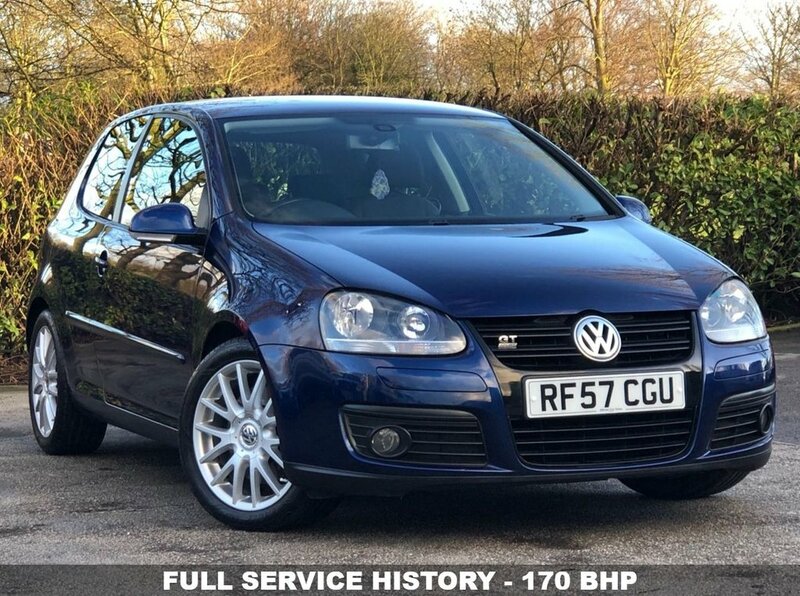 THIS 170 BHP GT TDi WE HAVE ON SALE IS IN SUPERB CONDITION INSIDE & OUT & HAS BEEN WELL MAINTAINED WITH FULL SERVICE HISTORY CONSISTING 8 SERVICES THE LAST DONE AT 70106 MILES ON THE 18/07/2017 AND A RECORD OF A CAMBELT AND WATER PUMP CHANGE AT 41048 MILES ON THE 04/10/2015. FITTED WITH THE SUPERB 2.0 TDI ENGINE PRODUCES 170 BHP AND A WHOLE LOT OF TORQUE YET STILL MANAGES TO BE ECONOMICAL ACHIEVING AN IMPRESSIVE 56 MPG & BEING THE GT VERSION IT HAS THE GROUND HUGGING STANCE AND STYLING ALONG WITH A NUMBER OF FEATURES INCLUDING, AIR CONDITIONING, AUTOMATIC LIGHTS & WIPERS & CRUISE CONTROL TO NAME A FEW.